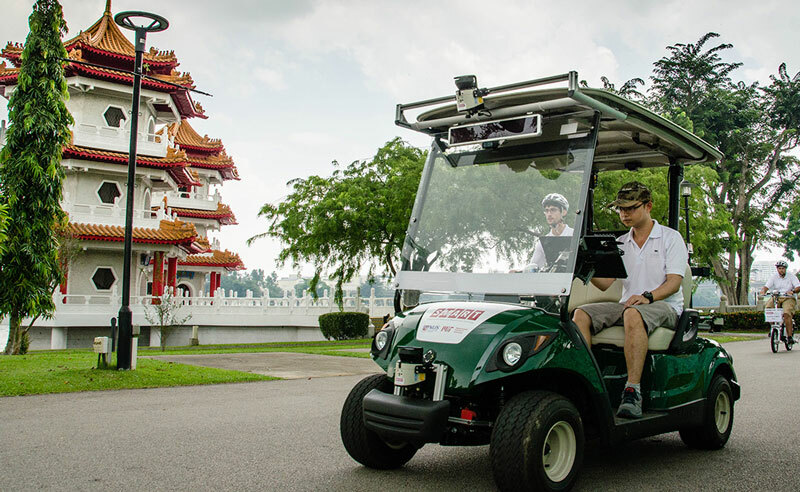 Robocar R&D is moving fast in Singapore, and this week, the National University of Singapore (NUS) announced they will be doing a live public demo of their autonomous golf carts over a course with 10 stops in the Singapore Chinese and Japanese Gardens. The public will be able to book rides online, and then summon and direct the vehicles with their phones. The vehicles will have a touch tablet where the steering wheel will go. Rides will be free, and will take place Oct. 23-25, Oct. 30-31 and Nov. 1. This is not the first such public demo – the CityMobil2 demonstration in Sardinia ran in August on a stretch of beachfront road blocked to cars but open to bicycles, service vehicles and pedestrians. Where the Sardinia project offered only a linear route, the Singapore project press release includes maps showing that the route is non-linear. Both projects have very low maximum driving speeds of 10km/hour. The Singapore project will also mix with pedestrians, but the area is closed to cars and bicycles. (They have previously demonstrated not just detecting pedestrians but driving around them – provided they stay still, but it’s not clear whether the current project includes that ability). There will be two safety officers on bicycles riding behind the golf carts, able to shut them down if any problem presents, and speed will also be limited. Singapore is interesting because they have a long history of transportation innovation, and good reason for it. As a city-state, it’s almost all urban, and transportation is a real problem. That’s why congestion charging was first developed in Singapore. Other innovations have also been started there; for example, every vehicle in Singapore has a transponder, and they used for a variety of purposes including congestion tolling and seamless parking payment in almost all parking lots. 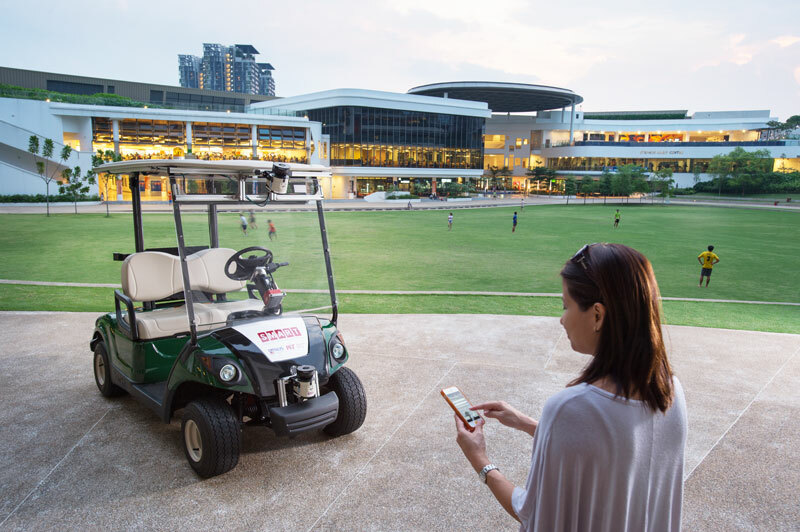 Six months ago I had the chance to visit A*STAR, Singapore’s government funded national R&D centre, as well as the car project at the National University of Singapore (NUS). Then in late August, I visited Singapore again to give an address at a special conference announcing a government-sponsored collaboration involving their Ministry of Transport, the Land Transport Authority and A*STAR. I had a chance to meet the minister and sit down with officials to talk about their plans, and at the conference, there were demos of vehicles, including one from Singapore Technologies, which primarily does military contracting. In spite of its history, Singapore tends toward conservatism — and this might dampen their pace of innovation. While this joint project is a good start, I advised them that, in my view, private projects will be able to move faster than public sector ones. The NUS project is a collaboration with MIT, involving professor Emilio Frazzoli.